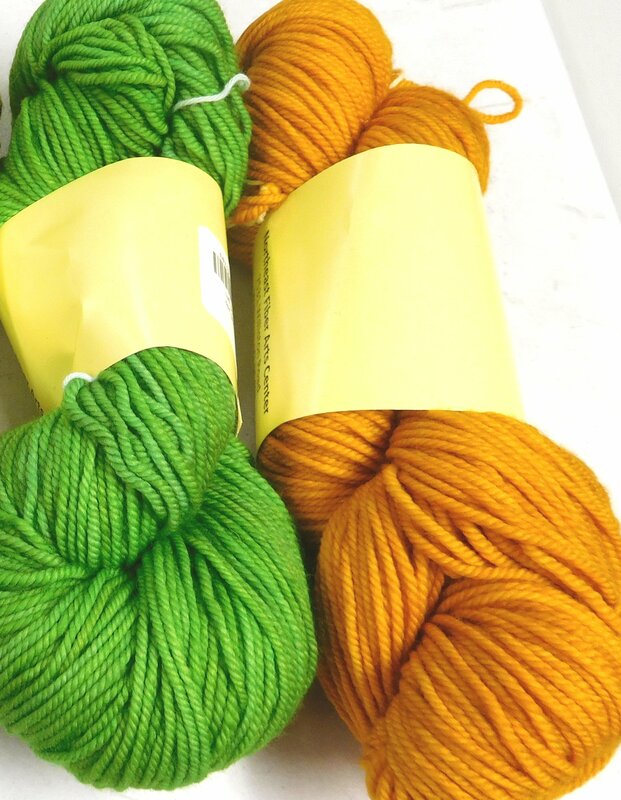 This 100% machine washable merino yarn is soft and luminous, deeply saturated and vibrant. I kettle dye it right here at the shop for my own color palette....each have some tonal variation in them so are a bit more interesting (I think :)) than the commercially vat dyed. I use a blend of colors and layer them to create intensely saturated colors. 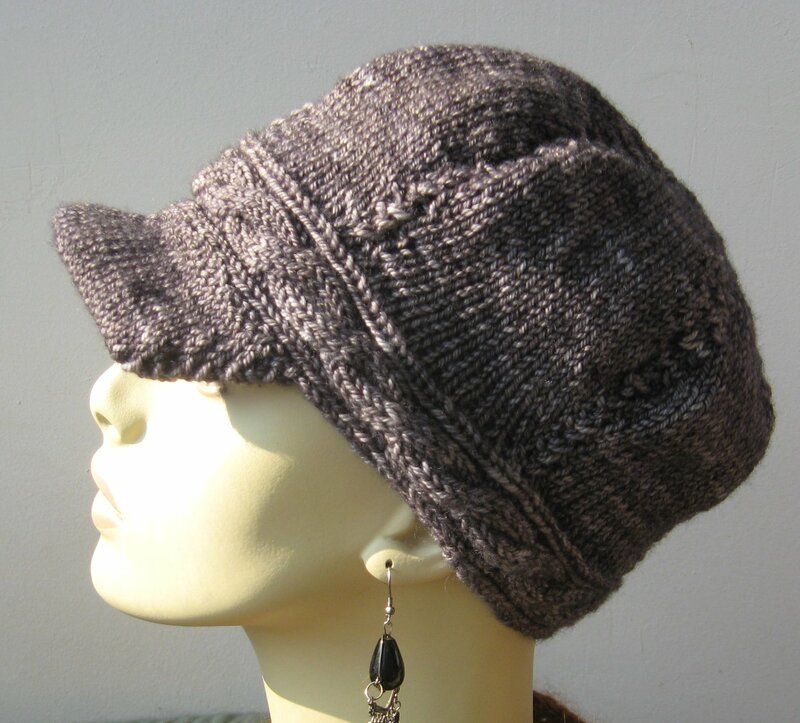 Click on either the swatch or the hat that Lou-Anne knit to see the color effect better. This yarn flew off the shelf as we were still winding it and before all the colors were even put out on display last time I dyed it up. Martha was just in this morning sharing a hexagon pin cushion she is knitting using some of the colors (sorry the photo doesn't represent the colors better....I should know not to take a photo against the blue countertop!). 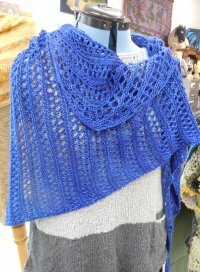 I am about to dye up a new batch this month (Feb 15) since the currrent inventory is very low. This is a hard sell online becuase the pictures don't do it justice, but in the store, the yarn flies because of the colors are so unique if you get to see it in person. I'll be addint something in the berry/deep pink family this go round. there are other colors missing from the photos....I'll try to get them photographed by the end of July!